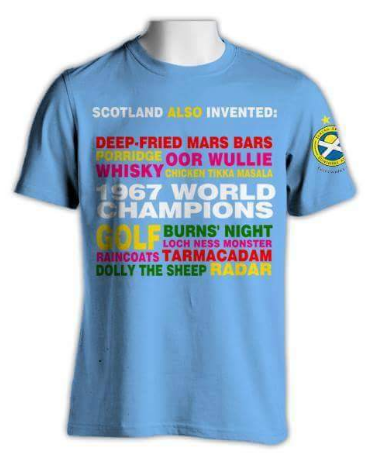 Our “Scotland Invented” T-shirts proved to be so popular, they sold out. So we decided to do some more… sort of…. This entry was posted in News by Micky Ross. Bookmark the permalink.